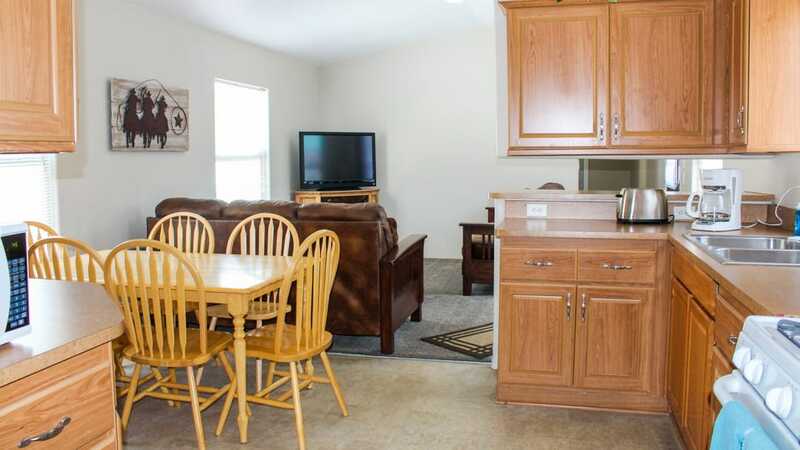 Our spacious Family Modular units with 3 bedrooms and 2 full bathrooms are perfect for your large family or group. Your rental includes FREE Breakfast*. Need a bit more room to spread out? Our spacious Family Modular units are very popular for your larger party. 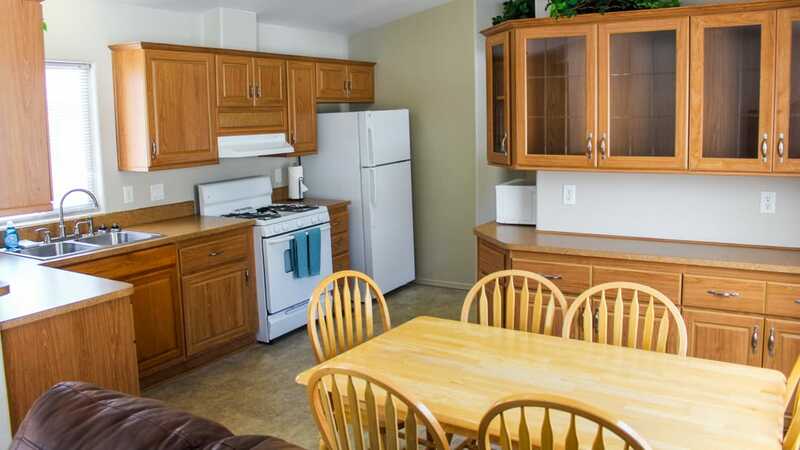 Centrally located at the resort, these units are surrounded with spectacular views of sky high canyon walls. 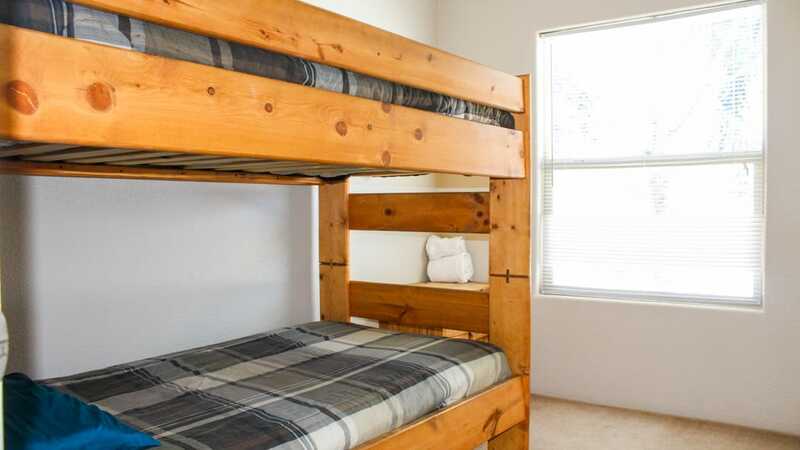 Three bedrooms and two full bathrooms, full kitchen, DR and large living room ensure you’ll have plenty of space to enjoy your stay with us. These family friendly modulars face a large common area with patio furniture making it the perfect place for families, friends or any size group to gather. 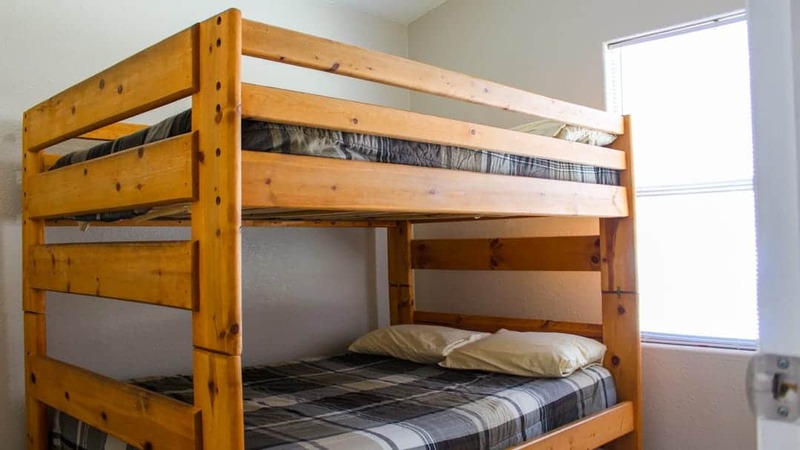 Our modular units are designed to be family friendly in every way! 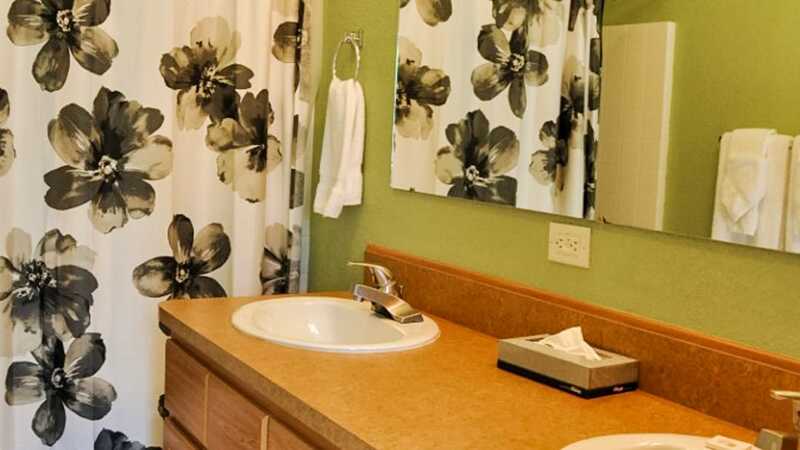 Over 1,000 square feet offers plenty of living and spreading out space. 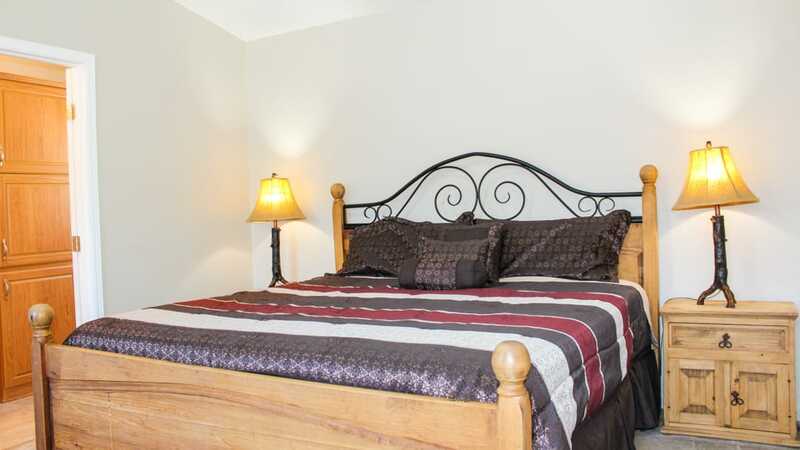 Three bedrooms and two full bathrooms will surely come in handy on busy mornings! The large kitchen gives you plenty of room to prepare your family meals then gather together around the large dining room table to enjoy your freshly prepared dishes. During down time, settle into one of the two sofas in the living room to enjoy a snooze or news update on the 42″ big screen TV. Sorry, pets are not allowed in these units.